If you take a walk with children or eat fresh fruits and vegetables together, you’re bound to come across a few seeds along the way. You’ll notice these little (and sometimes big!) treasures can be quite fascinating to preschoolers. 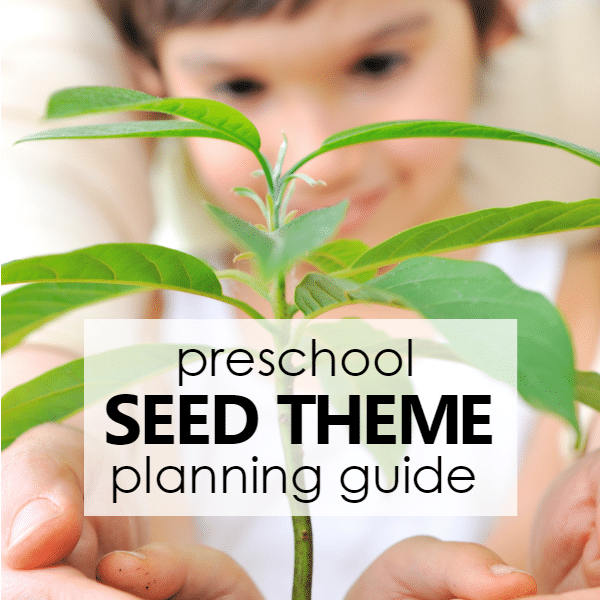 Here are all the resources you need for planning your preschool seed theme activities. When we can use concrete materials that kids come in contact with regularly it naturally increases their enthusiasm about the topic and it helps them make meaningful connections. 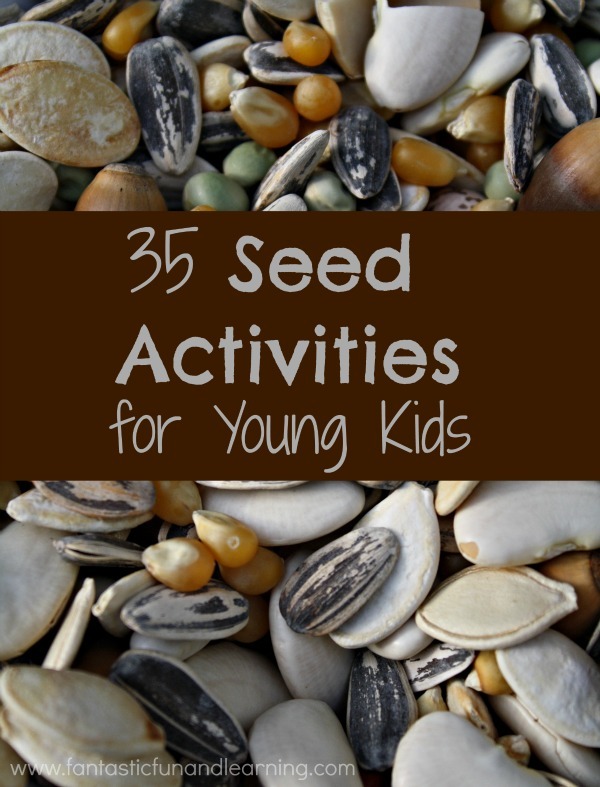 Kids come in contact with many seeds as they play outdoors. As they eat natural foods and know what to look for they also quickly realize that they eat many types of seeds. It’s also a lot of fun to plant seeds so this seed theme can lead to many extension activities. 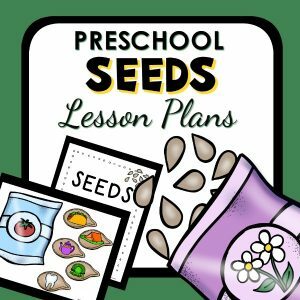 While you can technically teach a seed theme any time your kids show an interest in the topic, we find that is most fun to teach during the spring or at least during a planting season (which could be year round depending on where you live!). 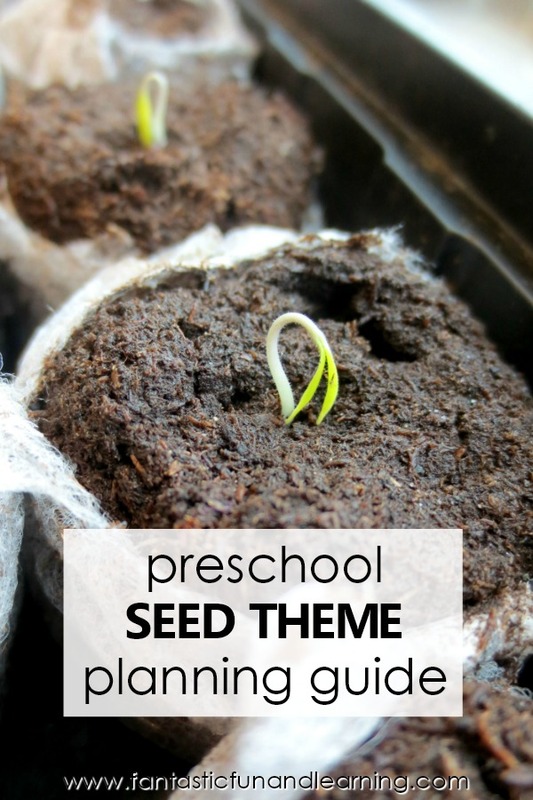 If you’re planning a preschool seed theme there are so many ways to incorporate a wide variety of learning skills. You can also use seeds as manipulatives for many learning activities to teach math and literacy concepts. If you get parents, friends, and family involved you can gather quite a neat collection of foods and seeds for kids to explore during your seed theme. 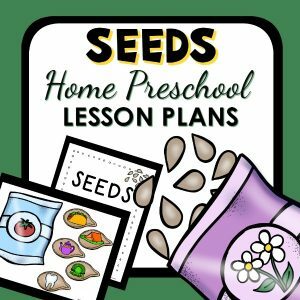 Here on Fantastic Fun and Learning we’ve shared the following ideas to go along with a preschool seed theme. We’ve also gathered many clever ways to teach kids about seeds. You’ll find sensory play ideas, art activities, tips for planting seeds with children, and learning activities too. Watch a real seed as it grows. Peep and the Big Wide World is a great series for beginning science concepts. In this video Peep and friends learn about planting seeds. Get kids up and moving with the Can You Plant a Bean Movement Song. Sung to the tune of The Farmer in the Dell, kids will quickly learn in and sing along with Farmer Plants the Seeds. Finger plays and action rhymes are a great addition to your preschool themes. Here are a few terrific options to go along with a seed theme. 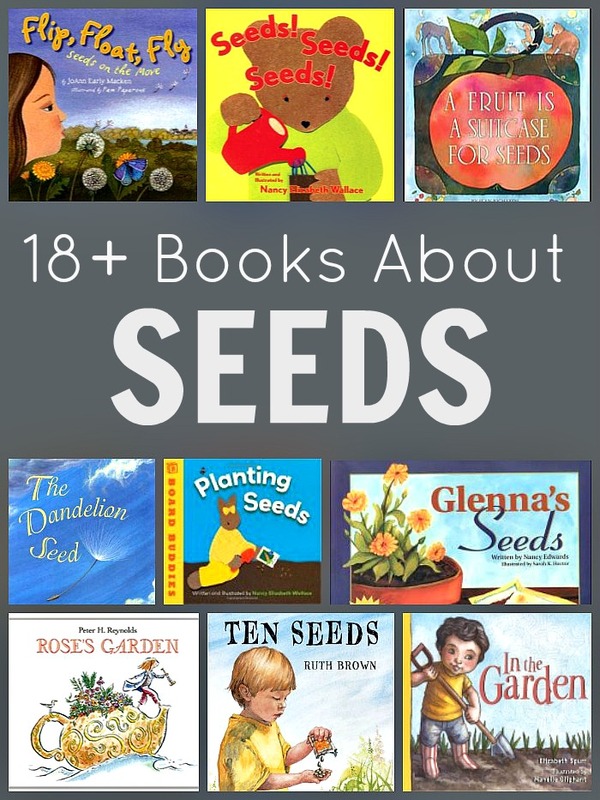 There are some fantastic books to read for your seed theme. We’ve provided a brief summary about each of our favorite seed books. Reinforce learning with these hands-on materials and games to go along with your seed theme. With these tools kids can plant their seeds and see what happens throughout the plant life cycle. Build upon the information you’ve learned about seeds and try even more ideas from these gardening with kids resources. 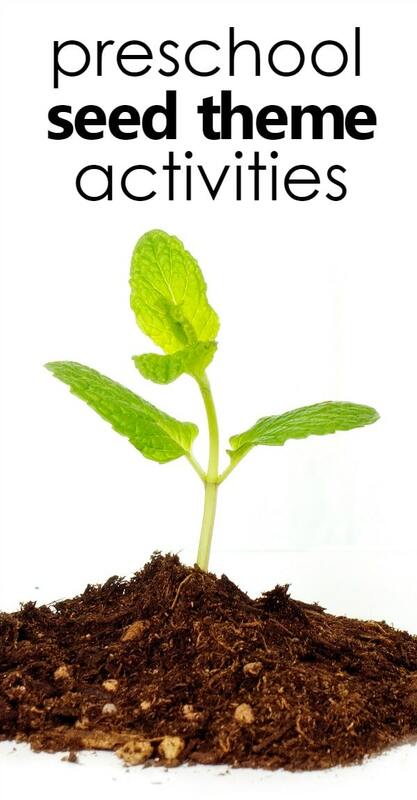 We’ve also explore books about gardening and how to garden with kids books here. 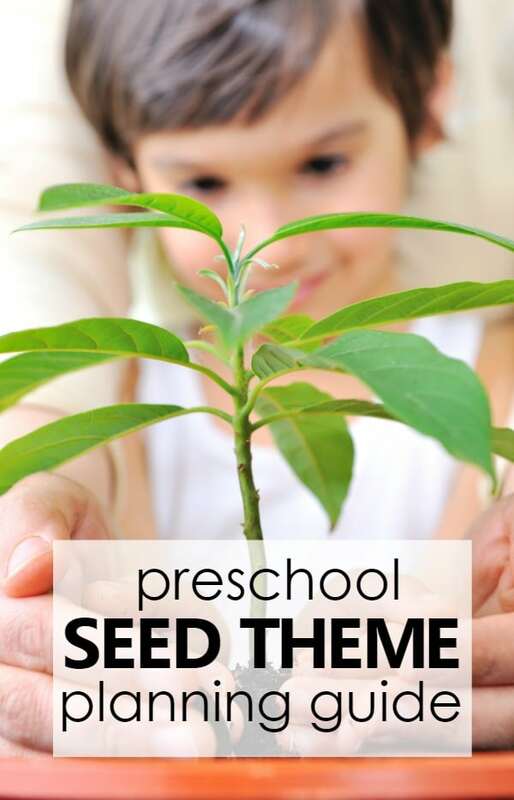 A seed theme can quite naturally evolve into one of the following preschool themes if you would like to continue along with the concepts learned in your seed theme. Themes we have printable lesson plans for include links after them.